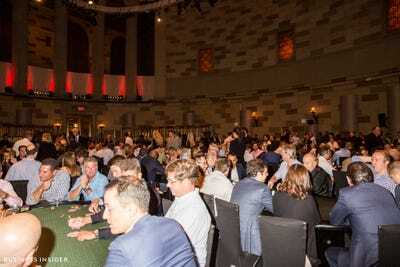 Hundreds of Wall Streeters packed a Manhattan venue this week to play poker and raise money for an education charity. There were also pro poker players, like Vanessa Selbst, the highest earning female poker player of all time. 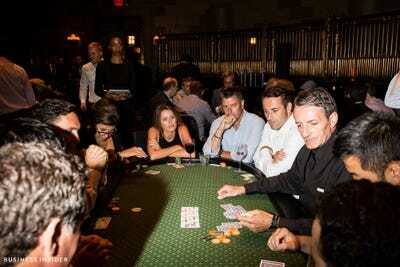 The July 26 event, called the Take ‘Em to School Poker Tournament & Casino Night, raised money for Education Reform Now. It’s an annual event with familiar faces, and we’ve covered it before. 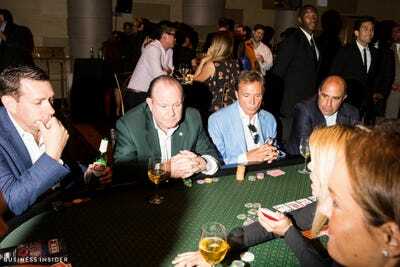 Different hedge funds sponsored the poker tables, including Mudrick Capital Management. 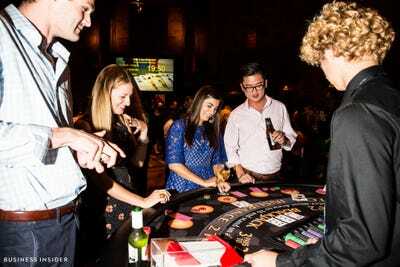 The event was held at Gotham Hall in Manhattan. 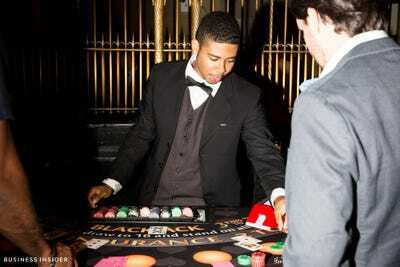 You could play blackjack on the side. There were several tables to choose from. 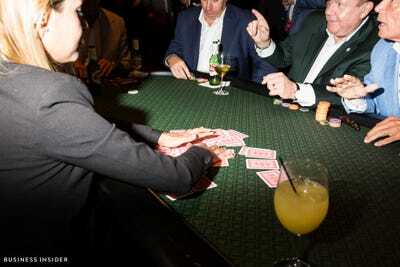 But poker was the big theme of the night. 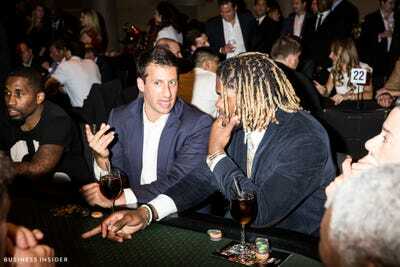 Each table had a mix of folks. Here's John Starks, who played for the New York Knicks, and John Sabat, a portfolio manager at Point72's Cubist Systematic Strategies. Sabat co-chaired the event. 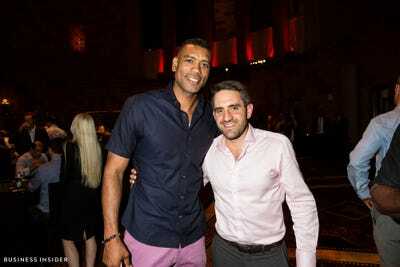 Here's former NBA All-Star Allan Houston with Mike Sabat, director of equity derivatives sales and trading at Sanford C. Bernstein. Sabat also co-chaired the event. 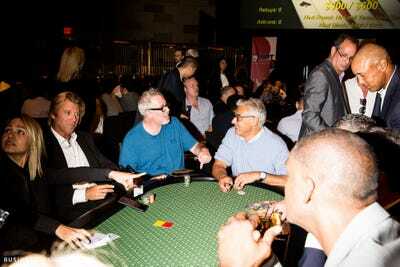 You could play a round with Brian Koppelman, co-creator of Showtime's 'Billions,' and Avenue Capital's Marc Lasry. 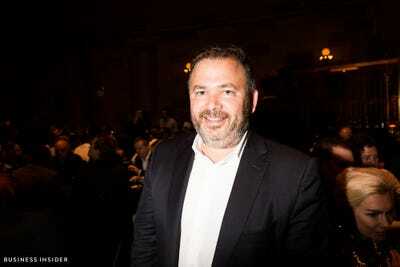 Or with Saba Capital's Boaz Weinstein. Weinstein was kind enough to take a solo shot for us, too. You might find yourself playing against Andy Frankenburger, equity derivatives trader turned two-time World Series of Poker Champion. Good luck. Here's Lorenzo Mauldin, of the New York Jets, to the right. 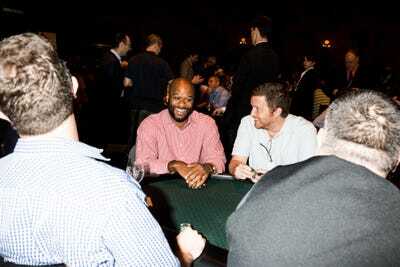 Here's Charles Smith, a retired basketball pro, and Lynn Gilmartin, anchor of the World Poker Tour on Fox Sports. 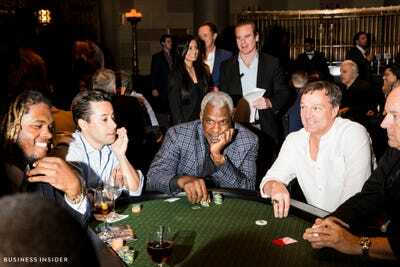 Charles Oakley (center), former NBA player, and Pat Kelly (right), who played for the Yankees. If poker wasn't your thing, you could bid on all kinds of experiences, like a private flight training over New York City. 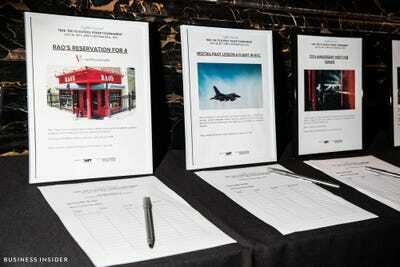 People signed up over the course of the night, outbidding others. 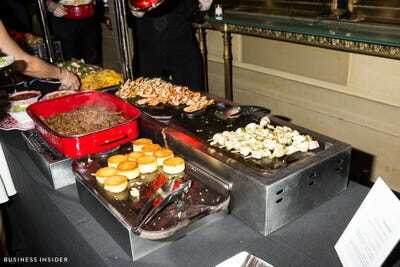 There was all kinds of food -- from Greek to Mexican. The quesadillas were on point. There was an open bar with cocktails and beer. 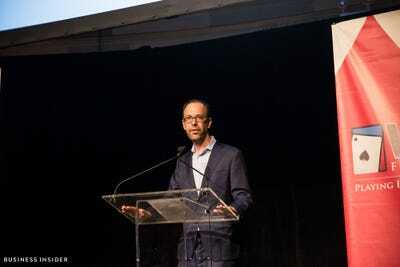 John Petry of Sessa Capital spoke ahead of the event. He's co-chair on Education Reform Now's board. 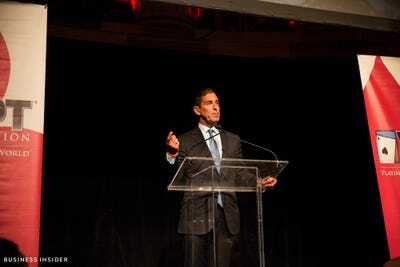 New York Senator Jeff Klein gave a speech in support of the nonprofit, Education Reform Now. 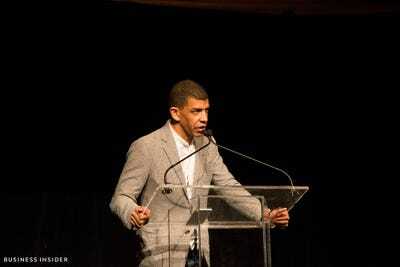 So did Adam Pliska, president of the World Poker Tour.